Doug Mayes was host of the "Carolina Country Style" radio program on WBT, Charlotte and helped present many live appearances of Country artists in the area. He began as a musician, playing guitar and fiddle, which led to a performance on the Grand Ole Opry and traveling with Arthur Smith for about a year. He started broadcasting as a teenager at a Kingsport, TN station and when bulletins began arriving about the attack on Pearl Harbor, he found himself a newsman. He joined WSIX in Nashville TN in 1947. 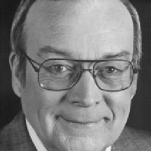 In 1959, he joined WBT, Charlotte, NC, where he became "Your Esso Reporter" which led to a thirty six year career as anchor and commentator on WBTV-TV and WSOC-TV. At WBT he hosted "Carolina Country Style" into the 1960s and emceed and directed the live Country Music shows at the Charlotte Coliseum during the 60s and 70s. Doug Mayes was inducted into the Country Radio Hall of Fame in 2002.